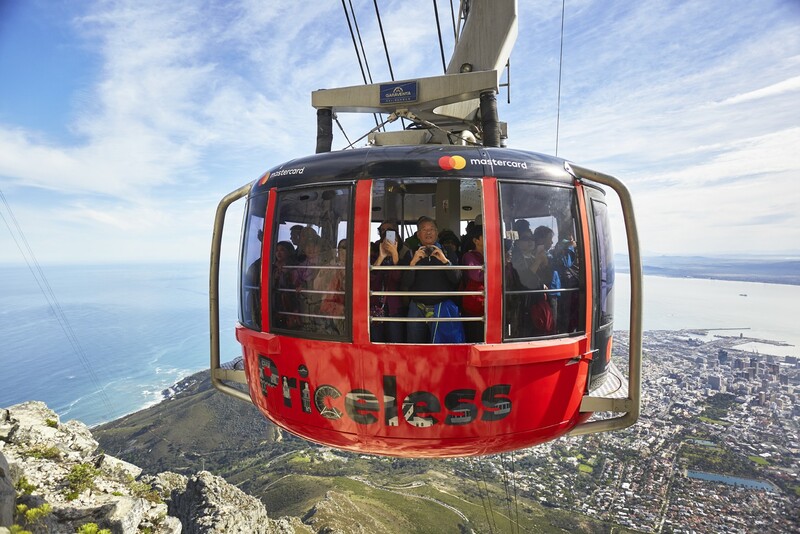 Enjoy the #1 attraction of Cape Town and go to Table Mountain with the Cable Car! Breathtaking views from Table Mountain, magnificent photo opportunities, and trails to explore the top of the mountain. Inclusive with your City Pass! Don’t hike your way to the top of Table Mountain! 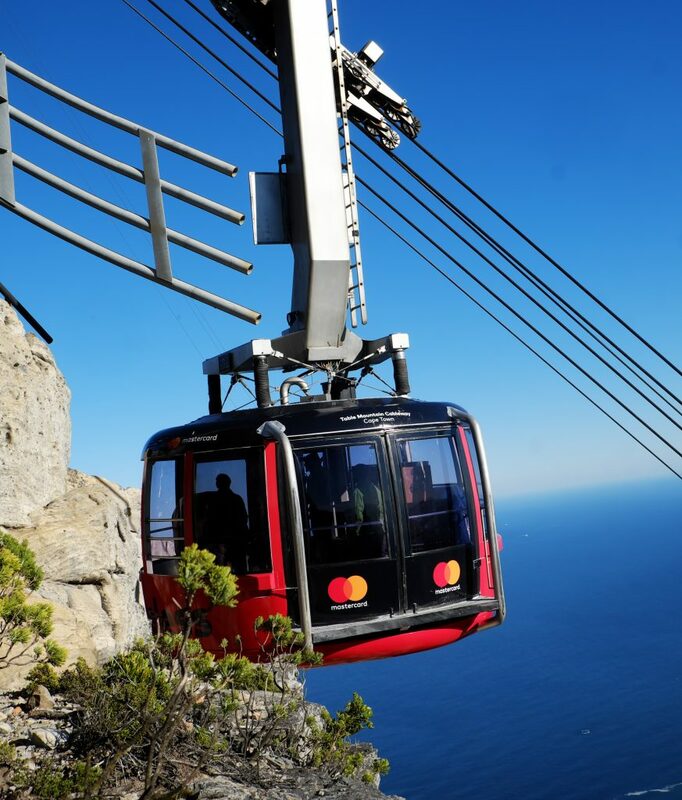 For the best views of the city and Atlantic coastline, ride the Table Mountain Aerial Cableway to the famous Table Top. Having served locals and visitors with a world-class trip to the top for almost 90 years, the cableway is an unmissable experience. Glass windows all around offer exceptional 360-degree views of the city, coast and the mountainside. At the top, prepare to be astounded by the sheer magnitude of the views and photo opportunities. There are a number of hikes to be explored at the top, as well as the Table Mountain Café offering drinks, snacks and souvenirs. Looming over Cape Town from every angle – the majestic flat-topped mountain is an unmissable stop on any tour of the Mother City. The Cableway takes you to the summit quickly and because the cable car floor slowly rotates, everyone gets to enjoy the view. Getting to the top of Table Mountain in a quick and easy way has been the mission of Capetonians for decades. In the 1870s, a railway line was in to the top was in development, but plans were halted with the outbreak of the Anglo Boer War. Another attempt was made In 1912, when a funicular railway running up from Oranjezicht through Platteklip Gorge was designed. The plan was also interrupted, this time by the First World War. Eventually, Norwegian engineer Trygve Stromsoe proposed the building of a cableway. 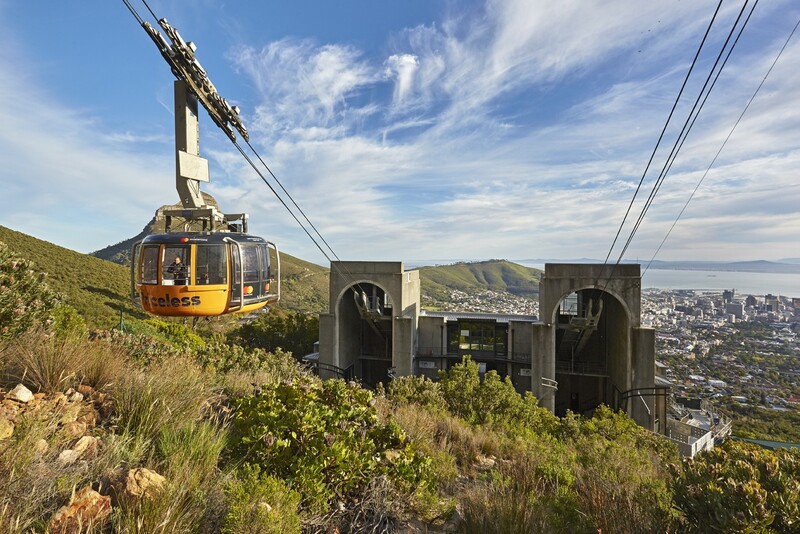 That first cableway was completed in October 1929, and its legacy continues to serve Cape Town locals and visitors. The sleek cable car can carry up to 65 passengers and take five minutes to travel between the Lower Cable Station and the Upper Cable Station. On the way, you can enjoy the dazzling panoramic view of the Mother City and the Atlantic Ocean beyond. A great time to ride the cableway is in mid-afternoon when traffic up and down the mountain is less crowded. Morning and sunset times tend to be busier. If you find yourself visiting then, opt for public transport or shuttle services as parking can be limited. The easiest way to go to the Table Mountain Cable Car is to use the City Sightseeing Red Bus, also included in your City Pass. Bear in mind that weather at the top can be different from the city below – always bring something warm to wear. The original Table Mountain Cableway opened for business on 4 October 1929, transporting millions of visitors to its smooth summit. One noteworthy visitor was the current HRM Queen Elizabeth II.